January is nationally recognized as Glaucoma Awareness Month. The Glaucoma Research Foundation reported that more than 3 million people in the U.S. have this disease of the eye, and it is projected to affect more than 4 million individuals by 2030, according to estimates from the National Eye Institute. The disease is the leading cause of irreversible blindness. Citizens should be aware of how at-risk they are and what types of treatment are available that can prevent glaucoma's life-changing effects. 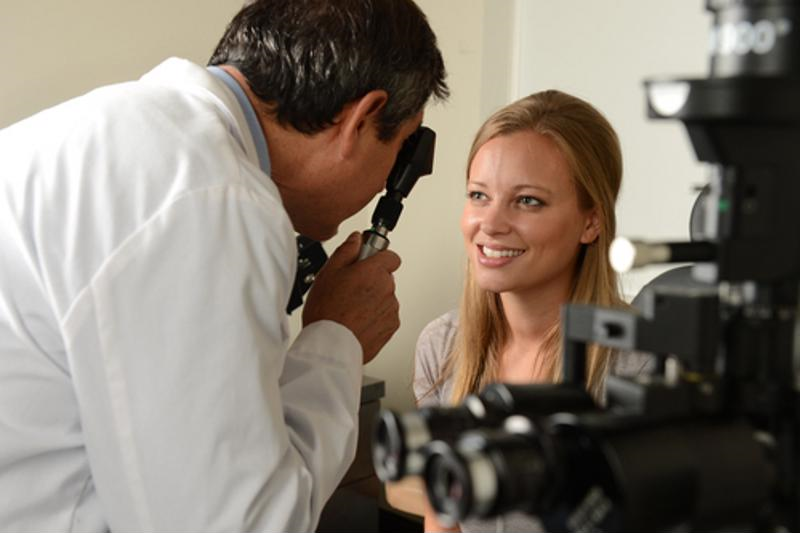 Regular eye exams can help detect early onset glaucoma. "Glaucoma is the leading cause of blindness in African Americans." Glaucoma is referred to as the 'sight thief' because, for most people with the disease, it can take up to 40 percent of their vision without them noticing. There are two types of glaucoma that people generally develop. The first is called primary open-angle glaucoma, which is the most commonly found version of the sickness. According to the American Academy of Ophthalmology, it occurs when fluid from the eye fails to drain at a normal rate, causing eye pressure to build that eventually harms the eye's optic nerve. The optic nerve is hugely important for vision, as it carries images from the eye to the brain and cannot be repaired. Open-angle damage to the nerve is gradual at first and leads to no immediate vision changes until it reaches advanced stages. As a result, people with primary open-angle glaucoma usually are not aware they have it until problems with sight grow severe. Sudden onset of blurred vision. The appearance of rainbow-colored rings or halos around light sources. African Americans. Glaucoma is the leading cause of blindness in African Americans and anyone of African descent. The disease occurs in African-Americans between six to eight times more frequently than Caucasians. Anyone over 60 years old. Older individuals are at risk of developing glaucoma as the eye naturally weakens over time. The possibility of developing the disease is multiplied by six once a person reaches age 60 and above. Family members of those with glaucoma. Primary open-angle glaucoma is hereditary and can be passed genetically. Anyone with a relative that has the disease is four times more likely to contract it than a person with a family history free from the illness. Victims of an eye injury. Anyone who has sustained a penetrating or blunt-force injury to the eye is at risk of developing secondary open-angle glaucoma. When a wound is sustained, it can block or damage the eye's drainage system and cause immediate or delayed glaucoma onset. Accidents and injuries from sports such as baseball or boxing cause this type of glaucoma most frequently. The Glaucoma Research Foundation stated the disease has blinded approximately 120,000 people in the U.S., accounting for between 9 and 12 percent of all cases of blindness. There is no cure for the glaucoma however, its immediate detection and treatment in early stages can be highly effective in preventing blindness. There are a number of tests people can get to help determine if they have glaucoma. Visual acuity and field tests measure a person's ability to see at various distances and through their peripheral vision, which can help diagnose glaucoma. Dilated eye exams allow a doctor to examine a person's retinas and optic nerves for signs of the disease. Drops are placed in the eyes which cause them to widen and be viewed closely with a special magnifying lens. A tomonoetry measurement can be taken to read the pressure inside the eye. A pachymetry reading can be taken to measure the thickness of the cornea. If signs of glaucoma are discovered, corrective measures exist that can stop it from worsening. Medicines taken via eyedrops or pills are the most common form of glaucoma treatment. They can serve a variety of functions such as draining the eye of fluid and lowering pressure or preventing the eye from making new fluids altogether, according to the National Eye Institute. Laser trabeculoplasty is a procedure that involves the use of a high-powered light beam to drain fluid from the eye. The light is aimed at the eye's meshwork that facilitates fluid draining. The laser enlarges the holes in the meshwork, which works to improve drainage. The procedure is effective at reducing eye pressure but sometimes requires multiple treatments, as holes can seal up over time. Another form of treatment is through a conventional surgical operation called a trabeculectomy. This is when a doctor removes a small piece of tissue from the eye that creates a new channel for fluid to drain from. The NEI reported the surgery to be between 60 to 80 percent effective in dropping eye pressure and preventing further vision loss in patients.